Bluestacks can be best explained as “an Android Apps and Games player for your PC“. In short,once you download and install Bluestacks into your windows PC computer, notebook, netbook or even tablet, it will allow you to run Android Apps and games either inside a window or at full screen. Just like that, with no modifications whatsoever, you get your favorite Android software readily available on your PC. Sounds miraculous enough! Kudos to Bluestacks developers. Bluestacks is still a “work in progress” as stated on their website, and as such it may have a bug. It has been released into the public as a beta version on March 27th 2012, and only a week later of being released it already got in excess of 1 million downloads, running about 12 million Android apps inside their Bluestacks emulator, as reported by them. This certainly got the attention of some mainstream players, and already Qualcomm company, a world-class chip manufacturer, chipped in 🙂 some megabucks into Bluestacks venture funding, adding up to other investors which already jumped into this project, and we are talking about AMD, Citrix, Ignition adventures, etc. Everything looks good for Bluestacks company. 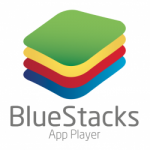 Once installed, Bluestacks lets you push Apps from your Android Phone, through their “cloud” (named “cloud Connect”) over the net, into your PC, easily and even remotely (as in “Cloud based”). Their Android emulator uses a proprietary technology -patent-pending by Bluestacks- called “Layercake”. This specific piece of software technology is where the main magic resides, allowing Bluestacks to run Android on PC, really fast and even on full screen, including games, like Angry Birds or Fruit ninja, with no problem whatsoever. Stay tuned: In coming articles we will get into Bluestack installation and configuration procedures, step by step.